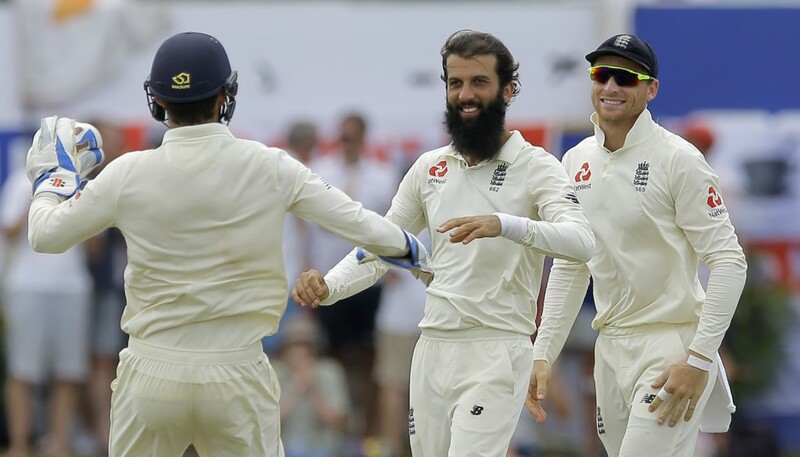 GALLE, Sri Lanka (AP) — England took three wickets in the hour before lunch Friday to move within seven wickets of its first ever test win at Galle. 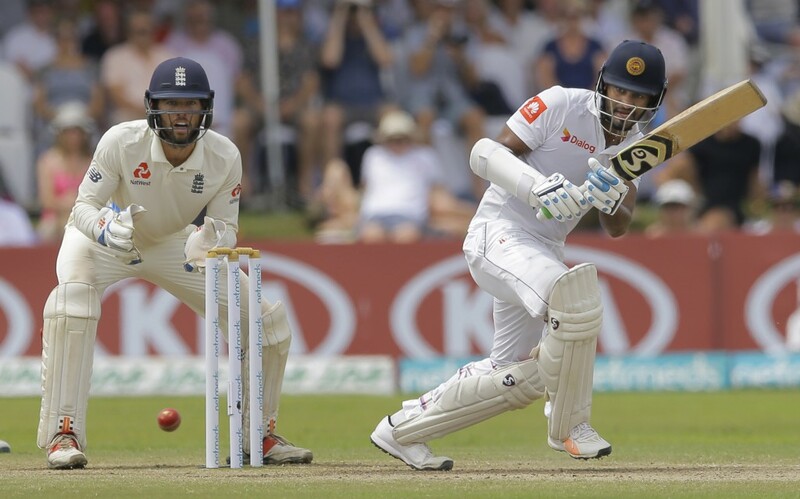 Sri Lanka, set an improbable victory target of 461 and two days to bat, slumped to 98-3 at lunch on day four, still 364 runs behind. 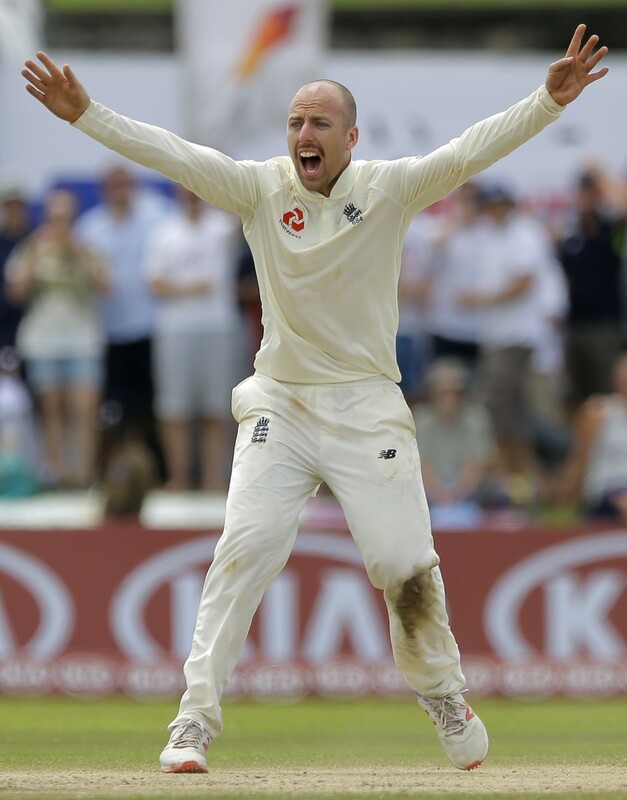 Resuming at 15-0, Sri Lanka's openers batted out the first hour of the session without any trouble but England's patience paid off when Jack Leach made the breakthrough when Kaushal Silva attempted a sweep and was adjudged lbw for 30. 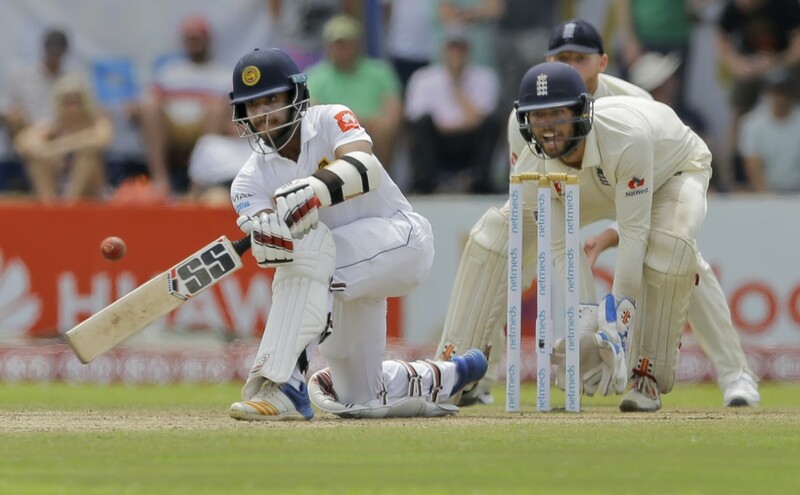 Ben Stokes made a vital breakthrough on the stroke of the interval when he had Dhananjaya de Silva (21) cauth at slip by Joe Root one ball after his strong appeal for a caught-behind decision was rejected by the TV umpire.